Developing the Leader Within You is truly the landmark book on leadership. 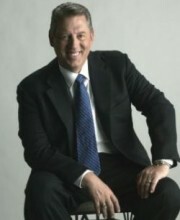 Rather than boring readers with cliché management tips and tricks, bestselling author John Maxwell dives into the heart of leadership, showing us early on in the book that true leadership has very little to do with title, salary or the corner office. Instead, he teaches what it takes to become a leader that people want to follow; a leader that captures the hearts, minds and actions of his or her followers. Leadership, says Maxwell, is about who you become, not what you’re given or proclaimed to be. 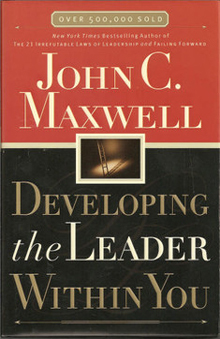 While Maxwell covers ten crucial areas of leadership (influence, priorities, integrity, creating positive change, problem solving, attitude, people, vision, self-discipline, and staff development), the core of his message can be broken into two parts: self-development and people development. As such, we’re taking the next two weeks to get to the heart of these two essential components. This week, we start with personal development: Fine tuning your actions and attitudes to strengthen your leadership attributes. Our focus will be turning you into a leader that people want to follow. "All true leaders have learned to say ‘No’ to the good in order to say ‘Yes’ to the best." The very essence of leadership is tied to the word “Lead” (I know, crazy concept). Leading, though, is about choice direction rather than responding. It’s about making choices rather than reacting to circumstance. No matter who you are, where you work, or how old you are, it’s easy to get bogged down in the day to day details of life. The mundane can easily fill your schedule (if you let it), and hold you back from taking time to strategize and make clear headed, rational decisions (two core elements of leadership planning). To be strong leaders, we need to make a conscious effort to remove as much of the mundane from our schedule as possible; either through systems, delegation or outright ignoring. The key to doing so effectively is having a strong sense of your top priorities. What is it you’re working towards right now? The idea is to take a step back from your life and evaluate how much of your time is spent on tasks and activities that are working towards your key objectives. Ten years from now, how much of your activity will matter? Focus on the stuff that matters, minimize or eliminate that which doesn’t. "Efficiency is the foundation for survival. Effectiveness is the foundation of success." As Maxwell defines it, efficiency is doing things right, while effectiveness is doing the right things. How much time do you spend doing things really well – things that will have little to no impact on your success? Maxwell explains “success” to be the progressive realization of a predetermined goal. Success is not, in other words, found in mastery of the unimportant. As often as possible, the actions you take should be forwarding you towards a self-set goal. We need to find ways to reduce the unimportant in our lives so we can focus on the big tasks – the ones that enable us to realize our dreams. My girlfriend is working overseas for the next two months. I arrange my schedule so I can spend one to two hours, per day, talking to her on Skype. Am I procrastinating? Absolutely not. I sat down shortly after she left and evaluated what was important to me over these two months, based on what I saw having the biggest positive impact in my life ten years from now. I concluded that I have three priorities this summer, and she’s right at the top of the list. Now, if that relationship wasn’t one of my top priorities – an aspect of my life that drives towards my vision of success – I could reduce the number of times we spoke each week, or the time we spent on each call. Determining what’s important to you and your organization’s success, then having the discipline to spend the appropriate amount of time on those tasks, is a key element of leadership. "I distinctly remember forgetting that." How much in your life could you simply ignore, without it having a major impact on your life? That’s a scary thought for some. You might be thinking – “Just ignore it? I can’t do that! Everything I’m doing needs to be done!” Really? How much time do you spend watching TV? The average American watches 28 hours of television each week. Could you “neglect” TV for a couple hours a week? What about certain people in your life that have zero positives to offer —or worse yet, provide a negative drain on your life? Could you neglect them? The key, as mentioned above, is to know what really matters. It’s about sitting down, evaluating your priorities and then taking steps to align your daily actions with that which is important to you. Something has to give. If I’m going to dedicate that time to a priority (my girlfriend), then I need to cut back on time somewhere else. I’m typically a pretty tidy person. I usually spend 30-45 minutes a day (3.5–5 hours a week) cleaning up the house and organizing files in my office. These two months though, I’m doing a ½ hour binge clean once a week. I’m not exactly living in squalour, but it’s a fair bit more disorganized than I usually prefer, but I made the choice that this was not a priority for me this summer. 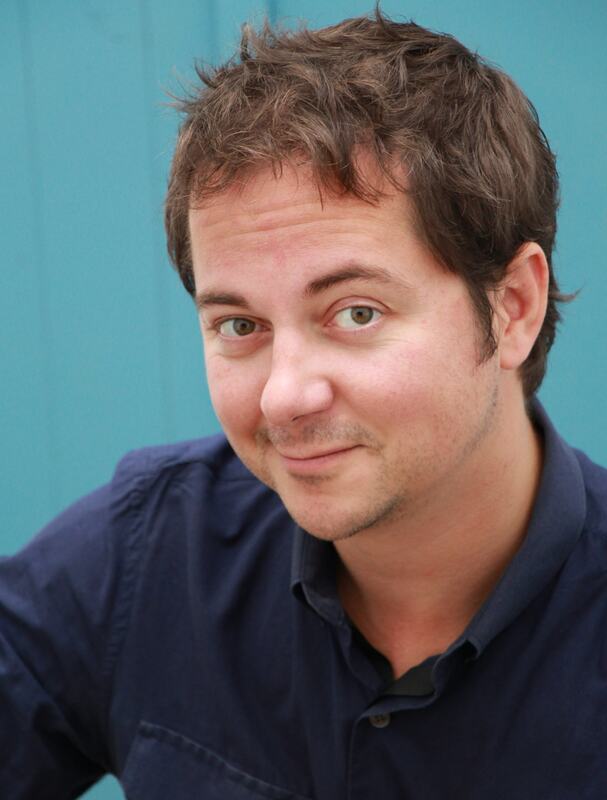 And I’m ok with the clutter – because it was a choice I made, based on predetermined values. Evaluate your priorities and neglect everything else as much as you can. I know these are silly (and perhaps overly personal) examples, but the point I want to make is this – it doesn’t matter if you’re running a household or a Fortune 500 company; to be a leader, you need to be moving in a direction people want to go, and be doing it in such a way that’s deliberate, thought out and with enthusiasm.